Their eponymous first 4-track EP ∆, was recorded with producer Charlie Andrew in London and showcased the tracks “Breezblocks”, “Hand-Made”, “Matilda” and “Tessellate”. A 7″ single containing “Bloodflood” and “Tessellate” was released by Loud and Quiet in October 2011. 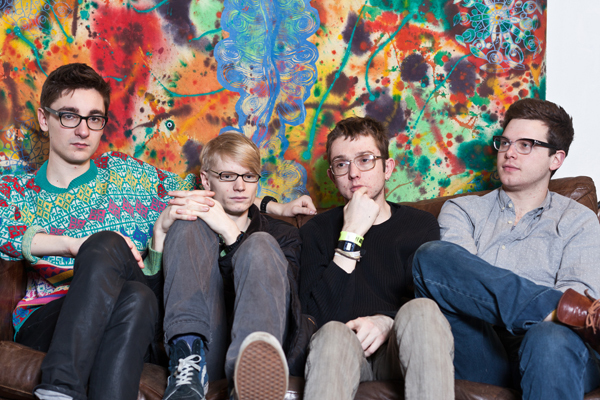 Their first 2012 release for Infectious Records was the triangle-shaped 7″ “Matilda”/”Fitzpleasure”, followed by “Breezeblocks” as an advance of their first album An Awesome Wave, released on 25 May 2012 in the UK, Europe, and Australia. The album was released on 18 September 2012 in North America via Canvasback Music. The group’s signature blend of layered, folk-inflected dub-pop and soaring alternative rock has been compared to artists such as the Hot Chip, Wild Beasts and Everything Everything. Their debut album, An Awesome Wave, was released on 25 May 2012 by Infectious Music, and drew on multiple musical genres and sensibilities (folk, rock bass, catchy pop, hip-hop beats, trip-hop atmosphere, indie-rock quirkiness, and electronic heavy synth riffs). They were wedded to intimately personal, sometimes confessional lyrics, peppered with film and literary references including allusions to The Good, the Bad and the Ugly, Luc Besson’s Léon: The Professional and Maurice Sendak’s Where the Wild Things Are. It was completed over three weeks in January of 2012, the band adding six or seven songs to the pool of already recorded material. 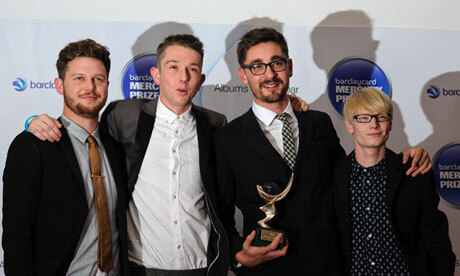 Their debut album won the 2012 British Barclaycard Mercury Prize, as the bookmakers’ favourite, and was announced as BBC Radio 6 Music Album of the Year 2012. Three of the tracks from this album gained entry into the Australian 2012 Triple J Hottest 100, with ‘Something Good’ at number 81, ‘Tessellate’ at number 64, and ‘Breezeblocks’ coming 3rd overall. This entry was posted in NEW! and tagged 2012, alt-j, An Awesome Wave, Australian, English Group, Gus Unger-Hamilton, Gwil Sainbury, Infectious Music, Joe Newman, Something Good, Thom Green, Tripple J on February 4, 2013 by bppdjcentral.